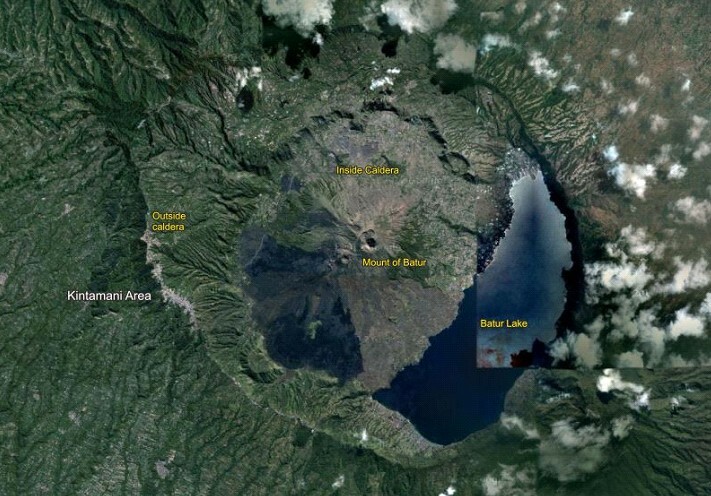 Lake Batur is now causing a lot of problems and environmental issues. Silting, pollution, garbage piles, and the quality of the water unfit for drinking. Lake Batur is located in Kintamani, Bangli regency, Bali. Located in the caldera of Mount Batur, which is known as a caldera that is very broad and one of the largest in the world. Lake Batur is also the largest lake in Bali, and become a supplier of water for several areas around Mount Batur. 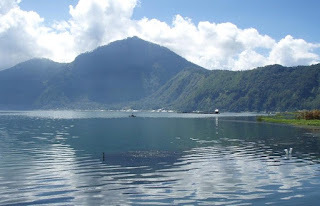 Regions in Lake Batur is the residence and settlement of citizens of the Balinese. Since the beginning, the lake area became inhabited by the Balinese. One of the village with the most primitive population in Bali and live around the lake is the village of Terunyan. Terunyan village residents rely heavily on Lake Batur. They are very dependent on the lake because they use the lake water for drinking water. They also work as fishermen, and fishing in the lake. One of the results of laboratory tests in Bangli in last June to the quality of water in Lake Batur, produces a report which is very surprising. That the levels of Chemical Oxygen Demand (COD) and Biological Oxygen Demand (BOC) in water taken at Lake Batur is now experiencing very rapid increase from previous years. BOD water from Lake Batur today is 2.5 mg / liter. While the highest levels of BOD to be worthy to drink water is 2 mg / liter. Also for COD content of the water in Lake Batur today is 13.7 mg / liter, from the highest level for drinkable water is 10 mg / liter. 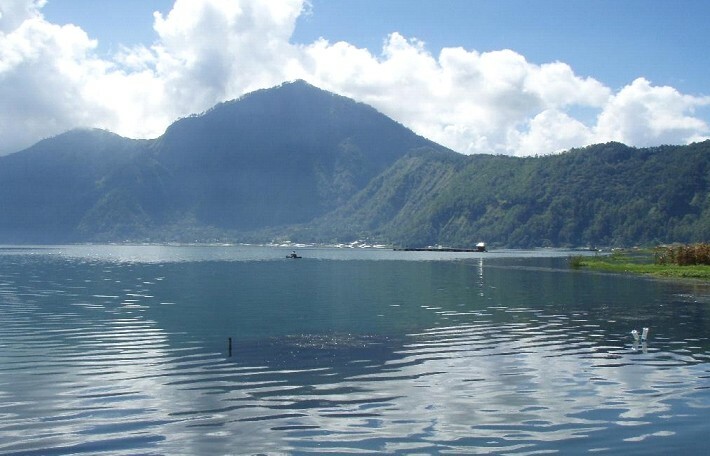 Water conditions in Lake Batur unfit for drinking, caused by waste from residential areas around the lake. It can be seen that the settlements around the lake is now experiencing a surge in the number of people very rapidly. They dwelt around the lake because the lake water is as a resource to meet the needs of their agricultural land. Most residents are farmers in Kintamani. Apart from the waste originating from the settlements around the lake, the water pollution in Lake Batur also from agricultural land around the lake. 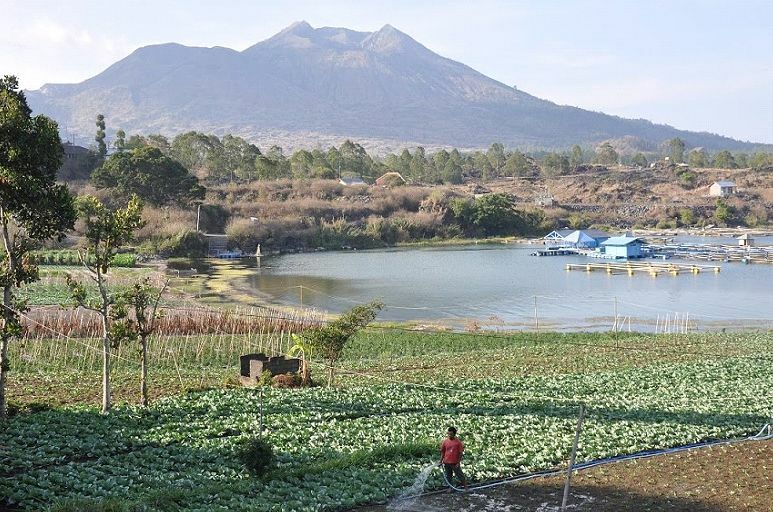 Agricultural use inorganic fertilizer dangerous and harmful chemical drugs to eradicate the pest, also is the cause of water pollution in Lake Batur. Agriculture around the lake by using synthetic chemical fertilizers causes the lake becomes toxic. During the rainy season, all the agricultural land around the lake will be washed contaminated rainwater. Rainwater will take soil and dust contaminated toward the lake. Because the lake is the last of the estuary rainwater. Indirectly, non-organic agricultural activities around the lake will make the lake water polluted by toxic weed killers and synthetic chemical fertilizers. The activities of people around the lake also became one of the causes of water pollution. Many residents who live around Lake Batur wash their clothes in the lake. Washing residual soap will dissolve into the lake. Activity wash in the lake that is done continuously will speed up the process of environmental destruction. To that end, the necessary regulatory and decisive action from the government against activities that could damage and pollute the water at Lake Batur. Action against breaches should be done, if not, then the pollution of Lake Batur will continue to occur, so that the water in Lake Batur is not feasible to meet the needs of citizens.